Merton council has launched a second round of public consultation to gauge the views of local residents. This consultation follows additional information and minor changes made to the plans following detailed discussions between council planners and the club. 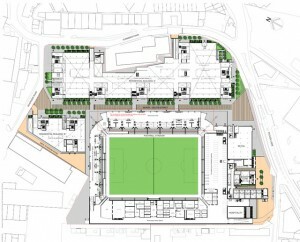 The amended plans can be seen on the Merton Council website. 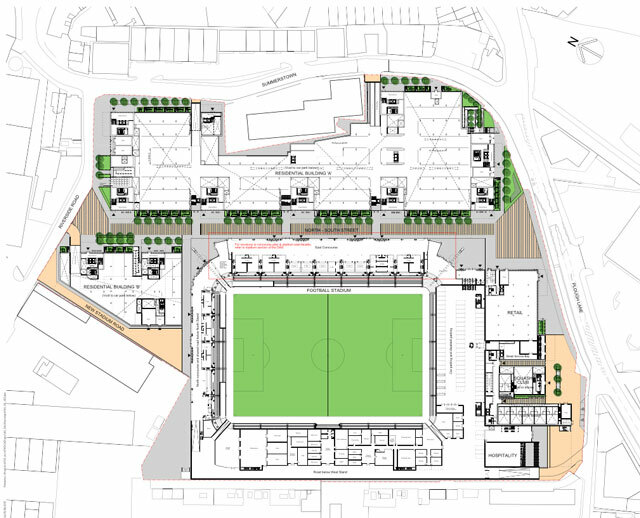 A change to the design of the stadium to enliven the pedestrian street which runs from north to south across the site, opening up the east stand for a cafeteria area and a childcare facility. BTDH spokesman Charlie Talbot said: “The additional information reflects the care and thought that has gone into the application. The one change to the stadium design should be welcomed by all because it will provide childcare facilities for the occupants of the apartments and make the pedestrian street an attractive venue. 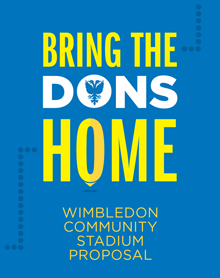 “Despite this, we expect that some vocal local opposition will be voiced and so it’s more important than ever that Dons fans living in SW17, 18 and 19 give the council positive feedback. The consultation closes on 8 October 2015. The planning application reference ’14/P4361′ must be quoted. Letters should be sent to: Sabah Halli, Development Control, London Borough of Merton, Merton Civic Centre, London Road, Morden SM4 5DX.